Quoted by webzine Prog Sphere as an album that “is comprised of everything an album must include, and that is energy, powerful performance, melody, [and] well-thought songwriting” Mechanical Man’s eight track release moves between the spheres of traditional heavy metal aggression and melodic experimentalism as epitomised by the eponymous opening track ‘Mechanical Man’. 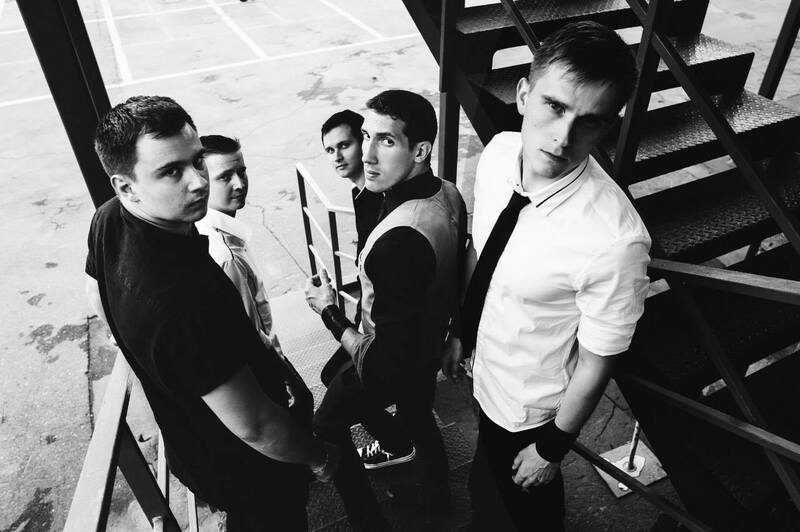 Since their formation in 2012 the band consisting of Alex Zefiridis (vocals), Serj Danilov (guitars), Alexander Lee (bass), Vitaly Ostrov (drums) and Eugeny Komarov (keyboards) have made a name for themselves among some well known musicians in the metal scene. The professionalism of their music has been acknowledged by some of their main influences such as Elias Viljanen of Sonata Arctica, a band who they supported, as well as Peter Hallaraker of Leprous who they played alongside with at Metropolis Fest in Minsk, Belarus, earlier this year. The single ‘Madhouse’ which was released in June 2014 was produced by none other than producer Hiili Hiilesmaa who is known to have worked with bands like HIM, Lordi, Apocalyptica, Moonspell or Amorphis in the past. The music is underpinned by Alex’ emotionally strong and at the same time heavily muscular vocals. Adding the warmer sounds of Eugeny’s keyboard riffs to the overall energetic masculinity of their sound has earned the band compliments across a range of reviews. One of the leading underground rock websites, The Moshville Times, has praised the record as one of the most exciting upcoming albums which is marked by a maturity that suggests that the band has been around for a lot longer than only three years. Mechanical Man has started out as a project brought to life by guitarist Serj who has moved across the country from the Eastern outskirts of Russia to Moscow writing both the lyrics and musical arrangements for each instrument. Taking inspiration from artists such as Muse, Rush or Dream Theater is making a clear statement in the industry by showing that a Russian metal band can easily be up there with heavy, earthy rock music that’s coming out of Scandinavia and other countries.